With more than 25 years of knowledge and experience in the industry, and a recipient of numerous awards, Ann is a top-performing sales professional. Her many achievements over the years come from her desire to succeed for her clients and her determination to deliver the highest level of service and the best possible results. Ann shares the Harcourts vision—to be the best real estate service provider in the area. As a result, the high percentage of repeat business and recommendations that she has consistently received from her past clients has brought her huge job-satisfaction over the years. 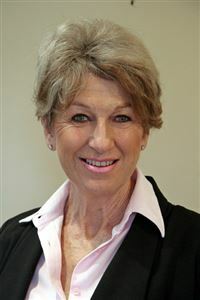 Ann is a trained and experience Auctioneer, she has a Graduate Diploma in Business Studies (Real Estate) from Massey University, and has AREINZ status. While furthering her knowledge and qualifications Ann studied real estate at University part-time in 2005 and 2006 and worked in real estate management. She spent four years leading and managing award-winning offices in both Auckland and Christchurch. Born and bred in rural South Canterbury, Ann is passionate about the area and has a love of the country-life and adventures in ‘the great outdoors’. Combined with her many years of living and working in Timaru, Ann is able to offer her clients a wealth of local knowledge and expertise. PROFESSIONAL & FRIENDLY “We were offered a most professional and friendly service by Ann that led to a most successful sale to a client ... at an excellent price. The short, sharp marketing approach that was chosen worked to our advantage.” - Roy & Christine Please add your content here.